Here’s a dog you’ll want to have digging up your garden. 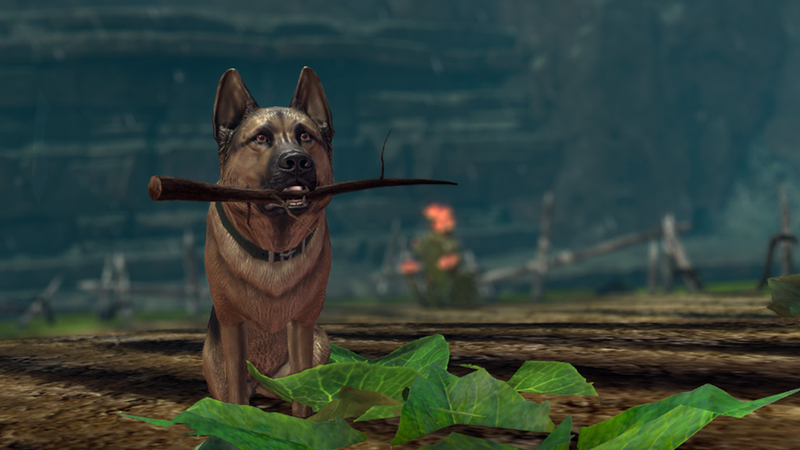 You can use this unlimited harvesting tool to gather any type of plant, and your canine companion may even sniff out an occasional extra trophy for you. Add some color to your gear with these elegant, vibrant weapon skins. As tempting as it may be, please don’t lick them—magical potions can be unpredictable. They’re now available from Black Lion Weapons Specialists for one Black Lion Claim Ticket each. 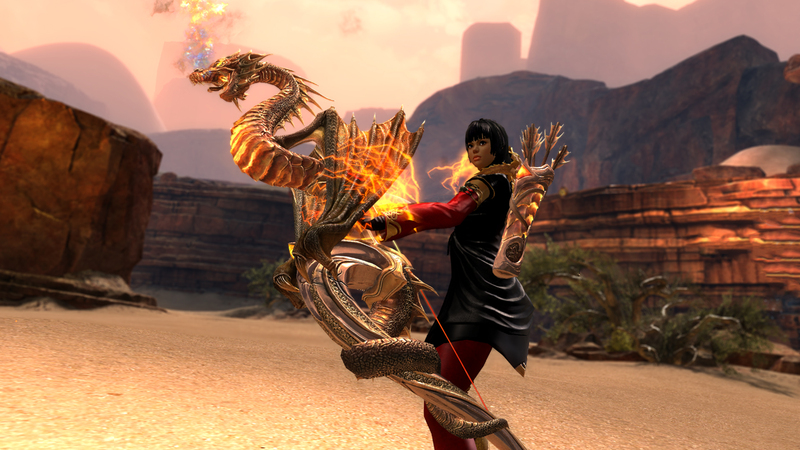 Black Lion Weapons Specialists have also restocked the Devoted Weapon Collection for two Black Lion Claim Tickets each, and the Zodiac Weapon Collection for five Black Lion Claim Tickets each. Black Lion Chests have been updated for Lunar New Year with a new guaranteed seasonal item: the Evon Gnashblade Lucky Envelope. The Guaranteed Wardrobe Unlock, Guaranteed Armor Unlock, and Guaranteed Weapon Unlock have been updated with new items. 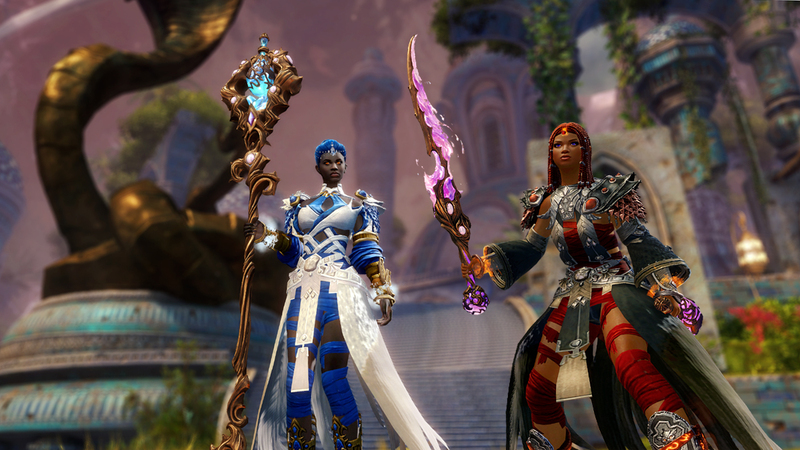 You now have a chance to find the Crimson Lion Dye Kit, Lion’s Arch Rebuild Dye Kit, Crimson Lion Weapon Collection, and Lovestruck Weapon Collection in Black Lion Chests. We’ve also refreshed the selection of miniatures purchasable through Black Lion Miniature Claim Tickets. The intimidating Fire-Breathing Longbow and matching Fire-Breathing Quiver have been added to Black Lion Chests as uncommon drops. The Ram Balloon toy is back for a limited time! On February 9, the Wedding Preparation Package will return to the Gem Store. The Imperial Outfit and Plush Ram Backpack Set will also be available at 30% off. Next story Share Stories of Legendary Friendship and Love!